OSWEGO, NY – The United Way’s mission of ending hunger in Oswego County recently received a much-needed boost from the Oswego Lions Club. Representatives of the Oswego Lions Club recently presented United Way of Greater Oswego County with a $1,500 check in support of United Way’s Stone Soup Luncheon. 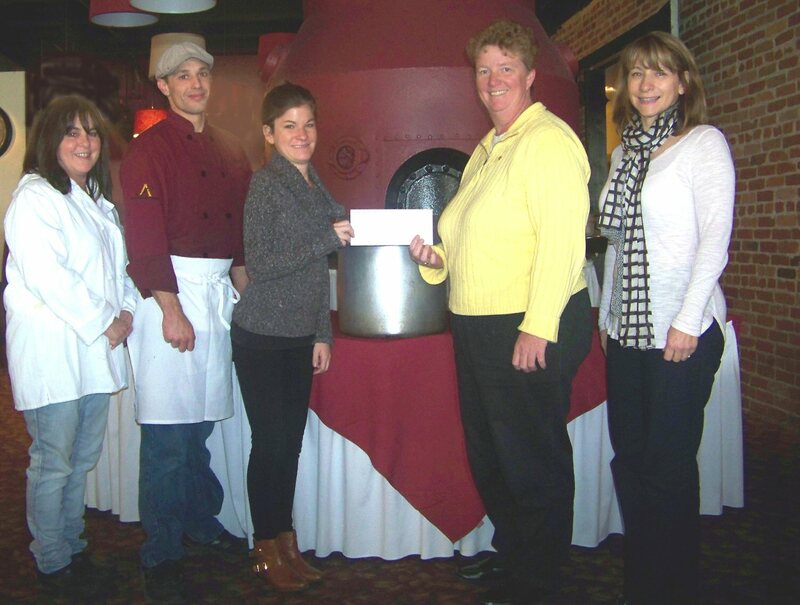 From left are: Conlee Shannon and Eugene Batrack of American Foundry (one of the soup sponsors for the luncheon); Resource Development Director for United Way Ali McGrath and Oswego Lions members Karen Hammond, treasurer and Lynne Morris. In support of United Way’s upcoming Stone Soup Luncheon the Oswego Lions Club presented United Way with a check for $1,500. The donation marks the continuation of a generous tradition and allows United Way to have an even greater impact on hunger in Oswego County. McGrath added that United Way is proud to add The American Foundry to the list of restaurants donating soup for the luncheon; giving the community six different soup options. This year’s United Way Stone Soup Luncheon will be held November 13 from 11:30 a.m. to 1:30 p.m., at St. Joseph’s Parish Center, 240 W. First St. The menu also includes signature soups from The Press Box, Vona’s Restaurant, Canale’s Restaurant; Oswego County Country Club and Bridie Manor; fresh baked rolls from Bosco and Geers; tossed salad and dressing from Davis Brothers; coffee courtesy of Dunkin’ Donuts, water from Paul’s Big M, and a custom designed cake and cookies compliments of Cake’s Galore. All proceeds from the event, as well as the food that is collected, will be donated to local food pantries including Human Concerns. All proceeds from the United Way’s Stone Soup Luncheon, as well as the food that is collected, will be donated to local food pantries including Human Concerns Center, Catholic Charities of Oswego County, and Salvation Army of Oswego County. Those unable to attend the luncheon but would like to donate food items may contact Tim Archer at 315-598-3980 ext. 253 for information on where to drop off non-perishable food donations throughout Oswego County.